Twenty years ago Dennis Danson was sent to prison and given the death pentalty, for the murder of a young girl in Floridas Red River County. Determined to proove his innocence, Danson took part in a documentary based around his trial and the case that got him sentanced. Now twenty years later a second documentary is being filmed, focusing on the flaws in the original case and aiming to get Danson released from Prison. Samantha is a teacher living in the UK. She spends her spare time reading through and commenting on all the forums about Danson. Soon Samantha is writing to Danson in prison and he is writing back. After weeks of letters back and forth Samantha decides it is time to meet in person, she books a flight and flys over to American to meet Danson in prison. Is Danson really innocent? Is Samantha putting herself in danger by going over to meet Danson or will there be a happily ever after? I got this book from NetGalley in exchange for an honest review. I found the writing style of this book to be a little off putting at times, with extracts from the book written about Danson being used and the breakdown of snippets of interviews thrown in occationally. I found this took away from the story at times. I found this to be an unusual writing style which I am not a fan off. I did enjoy the story although I found the ending a little dissapointing. 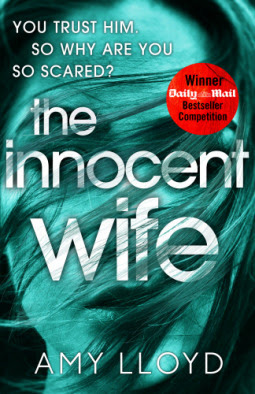 I found Samantha to be a bit off an odd character, I can't personally understand women who write to and fall in love with serial killers in prison but I think this book goes a long way to help to give you an insight into why women do this and how things can end up. I found the plot a little hard to follow at times mainly due to the writing style. I did however, enjoy the overall storyline. For these reasons I have chosen to give this book three out of five stars. I would recommend this book to people who enjoy this type of writing style. I wouldn't personally read it again though.